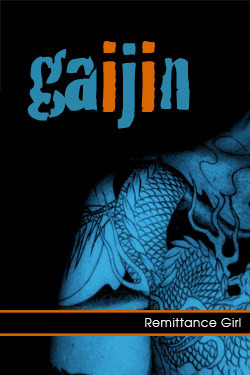 Indie Spotlight: Gaijin by Remittance Girl – What are you reading? When Jennifer left the cold and damp of London for the sparkle and bustle of Tokyo, she imagined she’d find a world full of cherry blossom festivals, ancient tea ceremonies and Geishas. What she got instead was a cramped, shared apartment, harassment on the subway and a mind-numbing job as a hostess at the Blonde Chick Bar in Roppongi. With a single, unintentional insult all that changed. She wakes up to find that she has been kidnapped by Shindo: a sadistic Yakuza demi-god who doesn’t take his loss of face easily. Caught between his hatred of all things foreign and a growing obsession with this blonde gaijin, he is determined to make her pay for her rejection in sadistic and degrading ways. A few years ago, I had the pleasure of chatting with Remittance Girl about non-consensual erotica and the effect of publishing restrictions surrounding the topic. She is taking on the challenge of acquiring a PhD and non-con erotica is a focus of her thesis. I am in awe of her commitment to her craft. This lovely chat culminated with her sending me a copy of her story Gaijin. I am no shrinking violet. I have read many, many horrific books. At the age of thirteen, I read every survivor account of the Holocaust I could find from Escape from Sobibor to Auschwitz, I read them all in graphic detail. I read Helter Skelter, Vincent Bugliosi’s account of the Manson Family murders. I read a harrowing tale about Diane Downs who attempted to murder her own children that has left me unable to listen to Duran Duran’s “Hungry Like the Wolf” to this day. None of these books disturbed me in the way Gaijin did. Given the topic, the likely expectation is that I was disgusted or somehow repulsed by RG’s story. In truth, I was, but I was also drawn in. The interplay between Jennifer and Shindo is filthy and beautiful, profound and cheap, violent and tender. I’d expected to be repulsed and to find Shindo a one-dimensional character. In fact, there were distinct moments when I wanted them to find a way past the violence and be together only to, mere moments later, hope she managed to kill him. Or, failing that, herself. RG makes no bones about the fact that non-con is deliberately portrayed in a sensual fashion and it most definitely is, but it is not glorified. RG’s style is frank and open and forces you with each touch, each penetration to look inside and see where you, yourself are in that moment. What I learned is that if I found myself in Jennifer’s shoes, I may do exactly as she did. I’d like to think not. I’d like to think I’d fight to the death whether mine or theirs, but I might just choose to “endure” instead.